If someone was to ask you what F1's key themes are in 2011, you may say exciting helter-skelter races, plenty of overtaking, and in the end Sebastian Vettel wins as he likes. These were all on show in today's race at Spa. 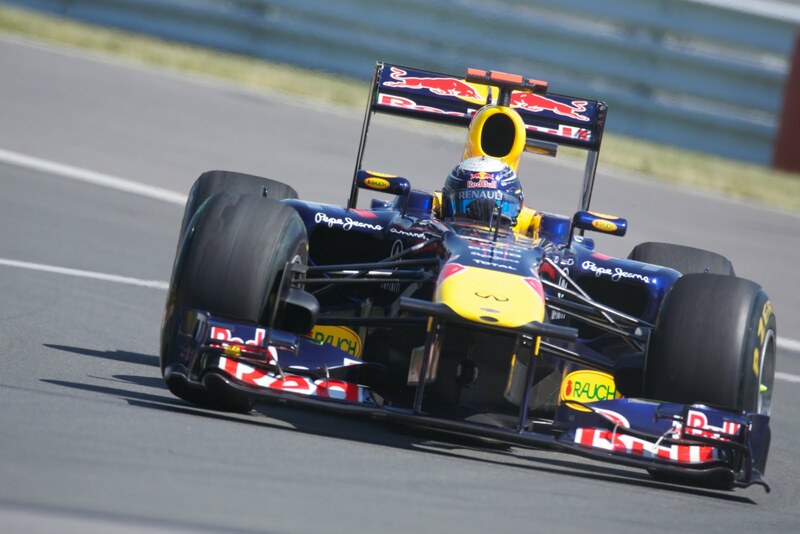 It seems that nothing can stop Vettel in 2011. This time tyre blistering early on, sustained in qualifying and necessitating a pit stop after only five laps, was thrown in his way, but Vettel's response was almost contemptuous. He continued to lap strongly, came through the field in double quick time (so much for the 'he can't pass' nonsense), and eventually won sumptuously, managing his tyres carefully and thus avoiding the extra stop that some anticipated. 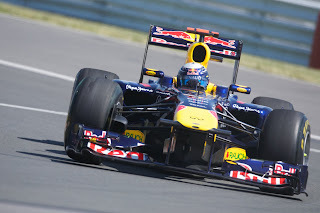 His championship lead is now a gargantuan 92 points (over his team mate Webber), the 2011 drivers' championship will surely be his with a few races to spare. And he will be a worthy champion. For a lot of the race Fernando Alonso was Seb's closest challenger. He came through the traffic aggressively from his lowly eighth spot on the grid to lead by lap seven. Then, after his own stop he was second to Vettel and looking like he'd give the young German something to think about. However, at a safety car period, Vettel changed tyres and Alonso didn't, putting Seb not far behind Fernando and on a fresh set of boots. Seb soon took advantage of this to lead, which was a state of affairs that did not change until the end. In the latter part of the race Alonso demonstrated that Ferrari haven't yet got totally to the bottom of their pace on the harder tyres issue. He looked for all the world that he was driving on ice in his final stint, on the medium tyre, and sank from second to fourth at the finish. He's entitled to think that outcome isn't adequate reward for his drive. But there were plenty of other impressive drives on display at Spa. Mark Webber took a fine second place in his team mate's wake, after a poor getaway at the start (again!) compounded his necessary early tyre stop. He was also decisive in his progress through the pack, including a pass on Alonso into Eau Rouge that frightened the life out of all who watched it, and he made the medium tyres work impressively for long periods. ﻿Then there's Jenson Button, who completed the podium after a worthy recovery performance which involved him starting 13th and changing his front wing on lap three, due to an errant rear wing damaging it. It was typical Button (and it didn't even rain this time), moving through the field gracefully yet decisively and quickly, and having got his phase on the medium tyres out of the way early on his pace was always strong. He was aided by a mid race safety car, but that should not detract from what was a marvellous drive. And Schumi was able to commemorate the twentieth anniversary of his F1 debut in some style, having started last. Like Button, he started on a contrary strategy but unlike Button he stuck with it. This allowed him to come on strong on soft tyres at the end, and his claiming of fifth place from his (apparently fuel economy-minded) team mate Rosberg late on will likely have caused him to smile. You could argue this was the most notable drive of his comeback, especially as the weather didn't throw in variable today. One of the few bum notes in the race was struck by Lewis Hamilton. He didn't make it to the finish after clashing with Kamui Kobayashi at Les Combes on lap 15. He was well-placed in the wake of the Red Bulls and Alonso, though as with the rest of the front runners his early tyre change meant some overtaking of slower cars. He breezed past Kobayashi into Eau Rouge on lap 13 to take fourth place, but Kobayashi came back at him towards the end of the Kemmel straight (surprising as Hamilton had his DRS activated), on Hamilton's outside. Hamilton drifted onto Kobayahsi's line and left him with nowhere to go, and the contact put Lewis out and included a violent impact with the barriers. It looked similar to the Buemi-Heidfeld clash at the Nurburgring, and Lewis looked as culpable as Buemi did then, though in mitigation he may have been surprised at how quickly Kobayashi came up on him (but he must have known he was close, as he'd already moved to cover the inside line). That the stewards didn't see the incident as worthy of further investigation seemed surprising by the standards of other incidents recently. 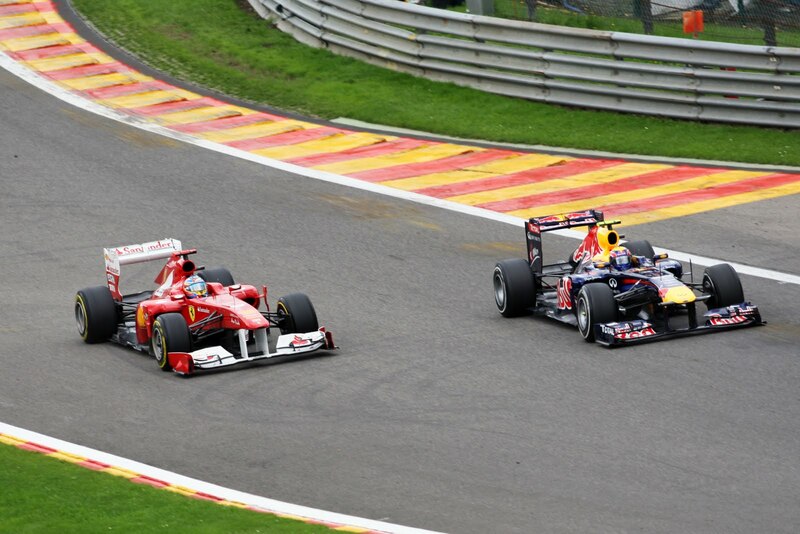 But as is usually the case, Spa didn't disappoint, and neither did an F1 race in 2011.